Note on omnivores: Just because we are able to eat meat, that doesn't mean we are meant to eat meat. If we were then we would have a shorter intestine. Anyone who has studied the human body in any depth would know we actually have the same bodily make-up as a frugivore, which is a type of herbivore that eats a substantial portion of fruit. Humans are 100% herbivore. We don't have claws, or perspire through our tongues - our saliva is alkaline. So don't take any notice of the argument that cavemen ate meat - what's that got to do with now? It's the 21st century, we have evolved, and there's no longer any excuse for ignoring the facts. Put simply, when a human being eats meat it often stays in the gut (stomach) for up to 7 days, digesting, sometimes longer. Often, not all of it gets completely digested either, which means you can have rotting flesh trapped in your colon for ages! And you know what happens when you leave a piece of flesh in a warm environment - it smells and it rots. That's why all meat is kept in a cooler, but unfortunately our gut system is very warm and so meat starts to decay as soon as it enters the stomach. Doesn't sound very healthy does it? Surprisingly Medical Doctors currently receive just one day of training in Nutrition over a six-year period (in the USA it is only 4 hours). Meat that is sold in supermarkets and butcher's shops is loaded with growth hormones, antibiotics and pesticide residues. Worse still, we now know BSE (mad cow's disease) can pass from species to species, so if you eat dead cow's flesh you can get the human form of the disease, called Creutzfeldt-Jakob disease (CJD). Figures released in 2007 showed that 130 people have now died of CJD and in humans there is an incubation period before the disease becomes rife. So, no doubt this number will climb considerably over the next few years. But it's not just beef that's bad, almost all meat today is loaded with antibiotics, not to mention hormones which are an issue too whether you are eating beef, chicken, pork, lamb or any other type of meat. Meat is one of the worst foods for being loaded with chemicals, sauces and salt to add flavour to it. It's extremely acidic too and so is really bad for your gut. Meat-eating is linked to heart disease and cancer, particularly stomach and colon cancer. A meat-eater is also likely to suffer from degenerative disorders (cancer, heart disease, alzheimers, arthritis, strokes, osteoporosis, multiple sclerosis, etc.) ten years earlier than a vegetarian. People don't need to eat lots of protein, in fact high protein diets are extremely dangerous. There is a compelling case that animal protein alone increases the risk of getting cancer, osteoporosis and type 2 diabetes. Your kidneys too cannot handle large amounts of protein. Kidney failure is becoming a common thing in hospitals across the UK. And in studies on individuals who had mild kidney problems, those who ate meat protein showed no improvement, only further deterioration. Many people think that chicken meat is healthier than red meat but they are incorrect. Chicken and all meats are muscles, which are made of protein and fat. Chicken and turkey meat are the leading source of fat in most people's diets these days due to the misconception that white meat is a healthier option than red meat. Amazingly though, a medium sized chicken contains almost a pint of fat or gram for gram as much fat as a Big Mac! And let's not forget cholesterol because cholesterol from white meat is just as good at causing heart disease as any other cholesterol. 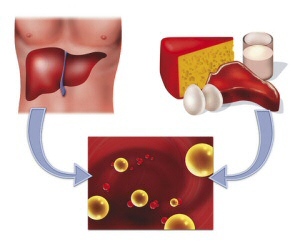 The human body produces cholesterol on its own and doesn't need outside sources. Remember, plant foods contain NO cholesterol. 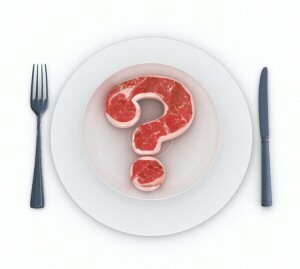 The risk of contracting the modern world's no.1 killer - heart disease - is considerably raised by eating animal protein. Don't forget that saturated animal fat is solid at room temperature, some is even solid at body temperature, so it's no wonder it clogs your arteries. The world's no.2 killer - cancer - is also linked to consumption of excessive animal protein. It is now a well-known and well documented fact that a cancer cell will not survive in an alkaline environment. However, it will thrive in an acidic environment and you are turning your system acidic every time you eat animal proteins. Animal proteins also have a negative effect on calcium stores because the amino acids contain sulfur, which in turn affects the body's pH balance. Plant-based proteins tend to have lower concentrations of sulfur-based amino acids and are more alkaline in nature. Meat, being very acidic, causes the body to re-balance itself by leeching alkaline calcium out of the bones to neutralize the acid. This calcium is then excreted in the urine. This phenonomen, called the 'calciuric response' may well contribute to an increased risk of developing osteoporosis. What you eat can greatly affect your health and well-being. Scientific studies have shown time and again that choosing healthy foods, namely plant-based ones, can reduce the risk of heart disease, cancer, and other diseases. Very simply, if you care about your health, let your lifestyle habits evolve and eliminate meat from your diet today!